So you hear a Spring Peeper calling from a grassy tussock at the edge of a marsh. You can tell where it is, because the sound is coming right from that tussock. It can’t be that hard to see it; it’s right there in the tussock. So you come in for a closer look. The frog stops calling. “No problem,” you think, “I’ll wait until he starts calling again, then I’ll look and see him, his vocal sac expanding with each peep.” He starts up again, and you think; “Now I’ve got you!’ But you still can’t see the little bugger. This goes on for twenty minutes, and you start to think you’re suffering from auditory hallucinations. You never do find that peeper. I don’t know about you, but this has happened to me many times. Often we can hear a frog calling but can’t see it, and therefore can’t get a photo voucher. Even when we can see it, it may be too far away for an identifiable photo. Luckily, however, PARS accepts audio vouchers, so if you have a sound recording device in your field kit, you can get that voucher without ever seeing the animal or getting close enough for a photo. The Gray Treefrog, Hyla versicolor, and Cope’s Gray Treefrog, Hyla chrysoscelis, are virtually indistinguishable by sight but have distinctively different vocalizations. A Gray Treefrog is shown here (photo: Brandon Ruhe). Like photography, audio recording can be as complex and expensive as you want to make it. Acceptable recordings can be made with the voice recorder function on a smart phone, or on a stand-alone voice recorder. These devices have fairly limited recording capabilities, but they can provide very good verifiable voucher recordings. Sound recorders with greater fidelity and features for making higher quality recordings can be purchased at a fairly reasonable cost. Some excellent handheld recorders can be bought for $100-$200. The quality and versatility of recordings can be enhanced with the addition of an external microphone. The serious bioacoustician can go all out and spend thousands on high quality equipment, like parabolic microphones! If you want to edit your recordings, a sound-editing program called Audacity is available online for free (http://audacity.sourceforge.net/download/) and is relatively easy to use. 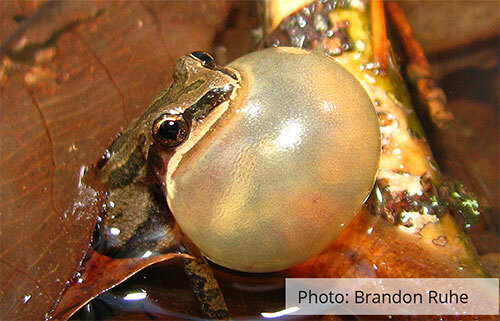 Whatever equipment you use, there are some useful tips for making recordings of frog calls. Extraneous noise is the biggest problem. 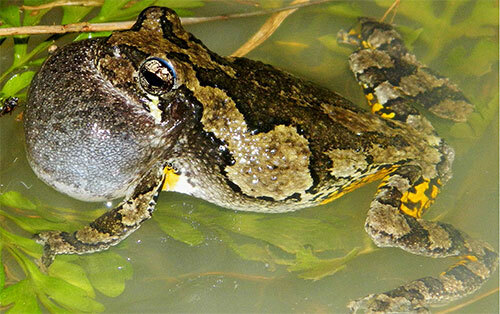 The closer you can get to a calling frog, the better your recording will be. For example, a Wood Frog’s call is quieter than that of the Spring Peepers, which usually overwhelm it in volume; so if you want to get a good recording of one, you may need to get close enough to isolate its voice from that of the surrounding peepers. Other sounds, like traffic, can really obscure a recording as well, so you want to eliminate these sounds from your recording as best you can. Wind is probably the most difficult factor to deal with, since even a light breeze can create unacceptable levels of noise (increasing the difficulty is that frog calling is more subdued when there is wind). Shield your microphone from wind as much as possible. Acoustic foam windscreens can be purchased for a couple bucks at a music store or online. Another good idea for making recordings of natural sounds is to record yourself at the beginning or end of a recording, reciting pertinent data such as the date and location where the recording is being made. This eliminates any ambiguity about the essential observation data. Recordings submitted to PARS should be fairly short in length, say 10 to 20 seconds. That’s usually enough for a proper identification. Ideally, a combination of a photo and a sound recording of a frog is submitted. 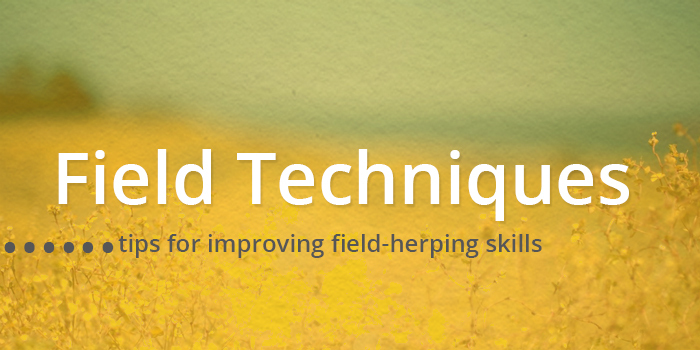 Recording frog calls adds an enjoyable dimension to the herping experience, and submitting audio vouchers to PARS may be the only way to document some of our shy, but vocal herps. difficult to hear the softer voices of the other species. However the other chorus frogs often begin calling earlier than peepers, so survey timing can be critical in detecting them. 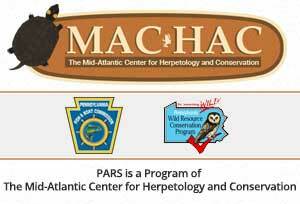 A New Jersey Chorus Frog, P. 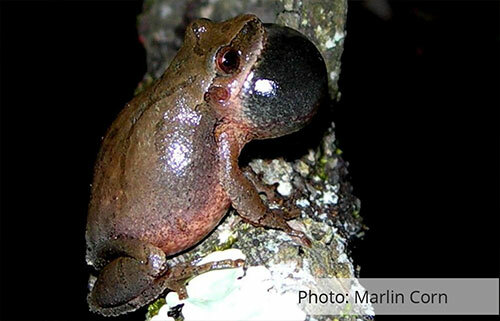 kalmi., is shown on the top, a Spring Peeper to the bottom.